We'll Beat The Dealer's Price. Call Today: (636) 448-7145! There’s nothing quite like a beautiful, precision vehicle. Whether it’s exotic and foreign or the luxury car of your childhood dreams, it’s a landmark of your success. 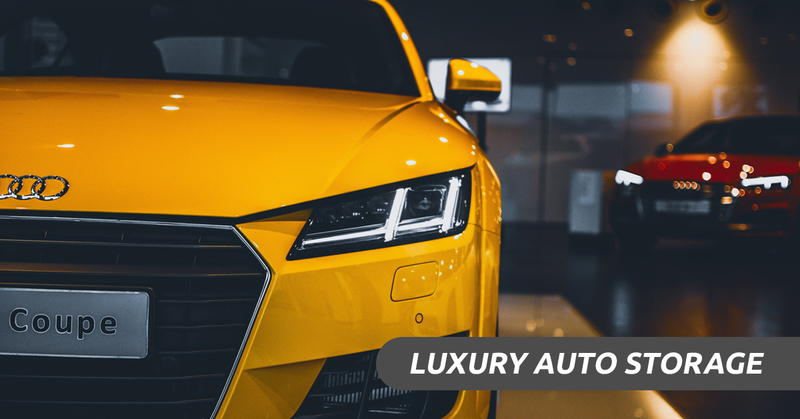 If you’re leaving St.Charles for an extended period of time and you can’t bring your luxury auto with you, look to your resident luxury maintenance boutique for the solution: luxury car storage. Kudos Luxury Import is proud to introduce you to our newest opportunity for our clients and their gorgeous vehicles. If you need a place to store your vehicle while on vacation, while you’re gone for your weekend trip or business trip, or using another car more regularly, Kudos Luxury Import is proud to offer a variety of options to you. Kudos Luxury Import is highly aware of the privilege we’re allowed when you bring your car to us for its regular maintenance and repair schedule. Your luxury car isn’t something you bought on a whim that needs occasional care. This is a meditated, dreamed of purchase that has finally come to fruition. Your foreign import automobile is a possession of extreme value to you and it requires an impressive amount of trust to hand that vehicle over to someone else. Rather than wasting your time touring storage facilities and trying to gauge the owner’s character and the employee’s aptitudes, why not return to an establishment you already trust? In addition to utilizing a business relationship that you’ve already established, storing your luxury import auto in our storage facility means you’ll see the car last longer. Don’t just store that stunning vehicle in your garage while you’re away. Taking a little extra time and consideration to preserve your vehicle will result in remarkable longevity for the interior and exterior of your car. If the car is merely kept in your garage, or worse, on the street, the interior and exterior are subjected to changes in humidity and temperature which makes the materials shrink and expand so that they eventually lose their shape. This is especially true of leather and certain metals that might have been used in the manufacturing of your vehicle. If your car is considered a classic vehicle, it might be particularly vulnerable to these weather changes as the technology used to create the different components is inferior to today’s coatings and covers that protect the various moving parts in vehicles. Water, in particular has a way of eroding even the strongest materials and making their life time shorter. Whether it’s a brand new Porsche, a vintage Bugatti, or your regular transport Mercedes, we’re passionate about keeping your vehicle on the road and in pristine condition. We like the idea of keeping more gorgeous cars on the roads of Chesterfield for longer. Help us make that dream a reality. Sign up for our luxury import auto storage facility today. We were having issues with our BMW. Sydney and his team did a thorough job to determine the extent of the issue. He always gave us very thorough information about the problem and several recommendations on how to proceed. He also helped identify the manufacturing recalls that needed to be repaired. We found Sydney to be extremely knowledgeable and honest, and he does great work. You can tell he loves what he does. Sydney and the Kudos team have been taking care of our 2004 SL 500 for more than a year now. We have been extremely satisfied them and they receive our highest recommendation. During this time period the car has had several major issues. The Kudos team has methodically and professionally worked through each situation with great tenacity and solved each problem. Sydney has kept in close contact with us through the process with phone calls and text messaging, sometimes 2 and 3 times a day! He has also saved us a ton of money compared to the Mercedes dealers in the area. If you are looking for an organization that will treat you fairly and resolve your auto issue at a fair price, choose Kudos. You will be very happy with your decision. Regarding my first visit to Kudo’s and working with David I would like to express the following experiences: I brought my 1998 740i BMW (118K miles) in for handling and radio problems. David handled my service write-up in a very thorough manner and suggested a complete diagnostic work-up to evaluate my vehicle’s overall condition… known and unknown issues. The diagnostic report indicated more serious issues that even I knew of. David and Syd both reassured me that if I placed my vehicle in their hands I would be very well pleased at the results. I trusted their judgement and expertise. The outcome was to put it simply, AMAZING! I received my vehicle in great shape with all the minor and major problems gone and the performance of the vehicle was almost as it was when I originally purchased it in 1998. What an absolute joy to feel the power and performance of this incredible vehicle again. Kudo’s to Kudo’s!